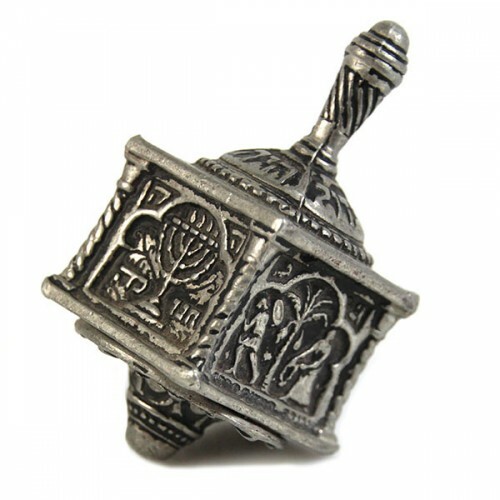 Pasarel - Rare Bezalel Cast Led Pewter Hanukkah Dreidel, Jerusalem, 1929, Judaica. 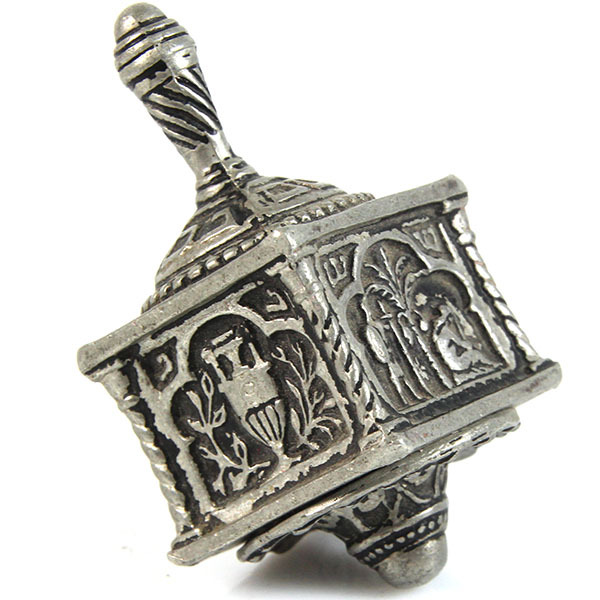 Rare Bezalel Cast Led Pewter Hanukkah Dreidel, Jerusalem, 1929, Judaica. Made by Moshe Murro in Bezalel in 1929. Stamped in Hebrew “Nes Gadol Haya Sham” (a great miracle took place there). 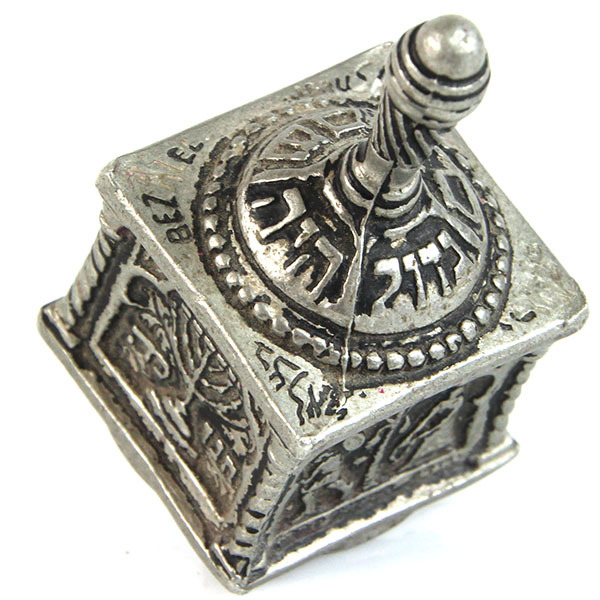 Each flank with one of the Hebrew letters of the dreidel “Nun”, “Gimel”, “Hey” and “Shin” and relevant Jewish scenes including a Menorah (inscribed Hanukkah in Hebrew) and the oil jug. 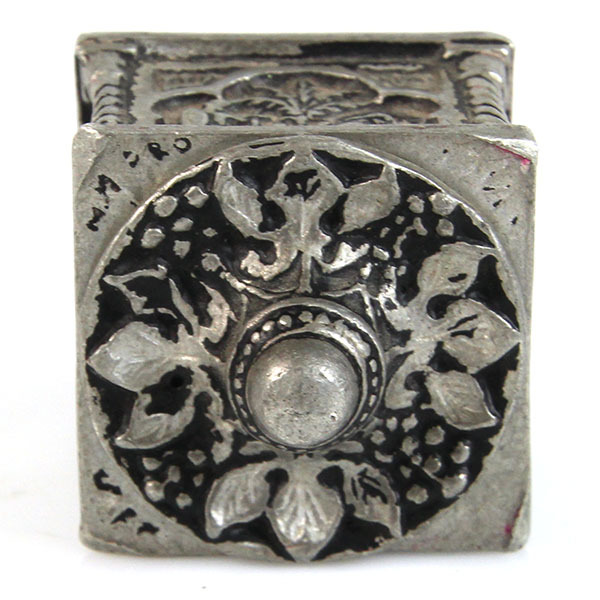 Marked “M. Murro” and “Bezalel Yerushalem” in Hebrew and in English and dated 1929. Length – 6cm / 2.36in.